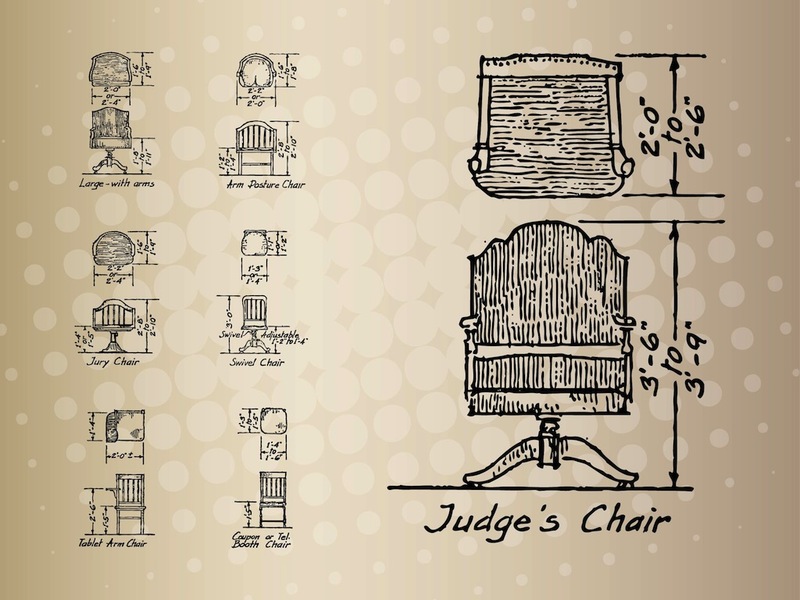 Vintage hand drawn vector graphics of various chairs. Different furniture designs and different views of each chair. Dimensions indicated on the chair illustrations. Free vector illustrations to use in all your furniture designs, interiors, chairs, carpenters and vintage sketches design projects. Tags: Antique, Carpenter, Chairs, Hand Drawn, Sketches, Technical Drawings.